The Food Safety Modernization Act, signed into law by President Obama in 2011, was the most comprehensive food safety legislation in the last 70 years. At the heart of the law was the idea that the focus for food supply chains should be focused on preventing contamination rather than just responding to it. Regulators, like the Food and Drug Administration, have historically struggled to determine the root cause of most major outbreaks of food contamination. As supply chains grow more complex, with ingredients and products changing hands so many times before they reach the consumer, it can be difficult to know exactly where something originated. Inbound Logistics explained that while there is no definite timetable for the implementation and enforcement of FSMA, it is widely believed that the act will gain its teeth in 2015. From there, all food suppliers, distributors and retailers will have two years to get their supply chains up to the new standards before they start seeing penalties for noncompliance. "Starting in 2015, foodservice will have two years to comply with FSMA." According to Inbound Logistics, the FSMA states that it's not just the manufacturer's responsibility to ensure product quality. The entire supply chain must be able to quickly ascertain where a certain item came from and who has handled it. "FSMA is stepping up the need for traceability from farm to fork," John Bickers, director of product management at Testo Inc., said to Inbound Logistics. "Once a food product has been shipped, the manufacturer or supplier is not free of liability. Especially considering brand protection, it's important that food companies keep track of what happens after product leaves their facilities." 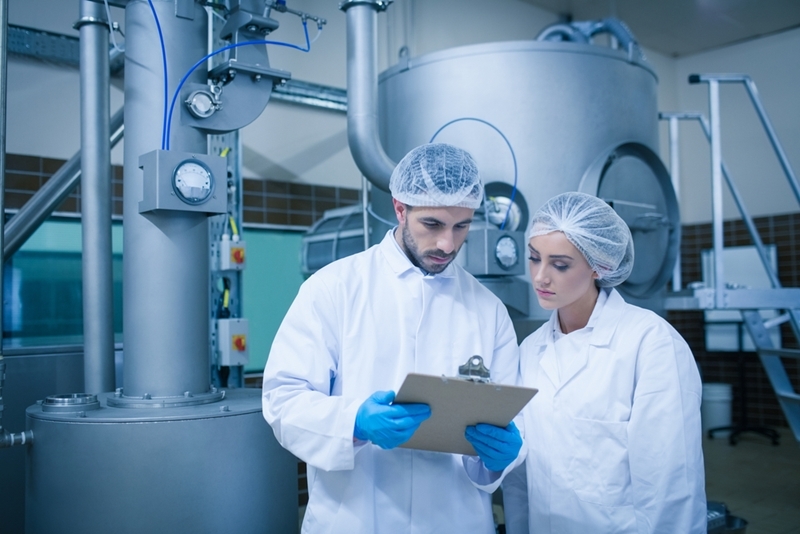 For production facilities that deal with suppliers and distributors from far and wide, knowing exactly who is in the supply agreement and what they contribute is absolutely critical for compliance with FSMA. Data is the key component of FSMA compliance. Supply management software isn't all about sales projections, ordering product and managing waste. A SaaS supply management solution is a treasure trove of data for central production facilities who need to collect and store pinpoint accurate data to cut down on costs and ensure that every retailer gets what it needs for service. SaaS platforms are accessible through any Internet-connected device, like a tablet or smartphone. This condenses data collection and entry into one step. Rather than collecting data from a storage room and then manually adding it to spreadsheets, employees can enter data through a network-connected device in the collection process. This makes the process more efficient and accurate. Going beyond improved business efficiency, SaaS solutions offer an ease of access to supply chain data that can help managers determine who is in the supply chain and what items they are responsible for. When it's time for large-scale production facilities to prove they are doing their due diligence for preventing contamination, this data will be invaluable.